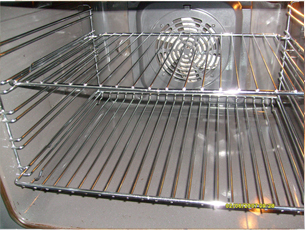 Our specialist deep-cleaning service is the ideal solution to return your Oven, Range-cooker, Aga, Hob, Microwave or Extractor unit to its original like-new condition. We specialise in the Domestic market and have serviced the region from Stockton to Morpeth since 2002. 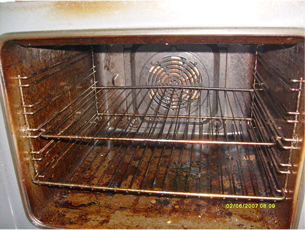 Our method of cleaning involves the appliance being dismantled as far as possible. The dismantled parts are placedinto a custom-made soak tank within the vehicle. The chemical solution within the soak-tank is heated and softens all carbon and built-up fat deposits allowing them to be cleaned and rinsed and returned to their original glory. The remaining shell of the appliance is cleaned within the home before being re-assembled and polished. Although we specialise within the Domestic market, we also work within Sports Club kitchens, School Domestic- Science rooms, Community Centres and Care-homes.